In the vein of The Time Traveler’s Wife and Station Eleven, a sweeping literary love story about two people who are at once mere weeks and many years apart. America is in the grip of a deadly flu pandemic. When Frank catches the virus, his girlfriend Polly will do whatever it takes to save him, even if it means risking everything. She agrees to a radical plan—time travel has been invented in the future to thwart the virus. If she signs up for a one-way-trip into the future to work as a bonded laborer, the company will pay for the life-saving treatment Frank needs. Polly promises to meet Frank again in Galveston, Texas, where she will arrive in twelve years. But when Polly is re-routed an extra five years into the future, Frank is nowhere to be found. Alone in a changed and divided America, with no status and no money, Polly must navigate a new life and find a way to locate Frank, to discover if he is alive, and if their love has endured. An Ocean of Minutes is a gorgeous and heartbreaking story about the endurance and complexity of human relationships and the cost of holding onto the past—and the price of letting it go. People wishing to time travel go to Houston Intercontinental Airport. At the orientation, the staff tell them that time travel is just like air travel, you even go to the same facility. People used to be apprehensive about airline travel too. But when you arrive at the airport, it is not the same at all. Before you can get within a mile of the terminals, you reach a bus stop moored at the edge of a vast concrete flat, where you must leave your vehicle and ascend a snaking trolley, like the ones they have at the zoo. A quarantine taxi makes its way to that lone bus stop, the airport appearing through a million chain-link diamonds. The driver is encased in an oval of hermetically sealed Plexiglas. In the backseat, Frank is wearing a yellow hazmat suit. The color marks him as infected. Now is the time for last words, but Polly’s got nothing. Frank keeps nodding off and then snapping awake, stiff-spined with terror, until he can locate her beside him. “We can still go back!” He has been saying this for days. Even in his sleep he carries on this argument, and when he opens his eyes, he moves seamlessly from a dream fight to a waking one. Already his voice is far-off, sealed away inside his suit. She pulls his forehead to her cheek, but his mask stops her short. They can only get within three inches of each other. The suit rubs against the vinyl car seat and makes a funny, crude noise, but they don’t laugh. Polly would like to breathe in the smell of Frank’s skin one last time, a smell like salt cut with something sweet, like when it rains in the city. But all she gets is the dry smell of plastic. The news outlets went down weeks ago, but that didn’t stop the blitz of ads for the Rebuild America Time Travel Initiative: billboards painted on buildings, posters wheat-pasted over empty storefronts, unused mailboxes stuffed with mailers. There is no flu in 2002 and Travel to the future and rebuild America and No skills necessary! Training provided! At first, the ads were like a joke, gallows humor for people who were stranded once the credit companies went down and the state borders were closed to stop the flu’s spread, people like Polly and Frank, who got trapped in Texas by accident. Later the ads made Frank angry. He would tear the pamphlets from the mailboxes and throw them on the ground, muttering about opportunism. “You know they don’t market this to the rich,” he’d say, and then an hour later he’d say it again. They stayed indoors except for the one day a week when they traveled to the grocery store, which had been commandeered by five army reservists who doled out freeze-dried goods to ragged shoppers. The reservists had taken it upon themselves to impose equal access to the food supply, partly out of goodness and partly out of the universal desperation for something to do. One day the glass doors were locked. A handwritten sign said to go around the back. The soldiers were having a party. With their rifles still strapped on, they were handing out canned cocktail wieners, one per person, on candy-striped paper dessert plates that looked forlorn in their huge hands. Ted, the youngest, a boy from Kansas who had already lost his hair, was leaving for a job in the future. He was going to be an independent energy contractor. There was another sign, bigger and in the same writing, on the back wall: 2000 here we come! It was a rare, happy thing, the soldiers and the shoppers in misfit clothes, standing around and smiling at each other and nibbling on withered cocktail sausages. But just that morning the phone had worked for five minutes and they got a call through to Frank’s brothers, only to be told it had been weeks since the landlord changed the locks to Frank’s apartment, back in Buffalo. The landlord was sympathetic to Frank’s predicament, but he could no longer endure the absence of rent. “But what about my stereo?” Frank had said. “What about my records? What about Grandpa’s butcher knife?” His voice was small, then smaller, as he listed off everything that was now gone. “What? Why? How can that be?” This clumsy show of anger was new. Frank was normally charming. He was the one who did the talking. Later, his sudden social frailty would seem like a warning of the sickness that arrived next. It unsettled Polly, and she was slow to react. The tips of Frank’s ears pinked and Polly should have made a joke, offered comfort. But she was distracted. In that second it stopped being a fiction. Time travel existed, and the plates of her reality were shifting. She felt a greasy dread in the center of her chest. She wanted to drop her food and take Frank’s hand and anchor him in the crook of her arm, as if he were in danger of being blown away. Now they are pulling up to the lone bus stop, and they can see the new time travel facility, across the lot bisected by trolleys. The facility is a monolith, the widest, tallest building either of them has ever seen, and something primal in Polly quails. The only thing remaining of familiar airport protocol is the logistical thoughtlessness of the curb: once you reach it, the line of unfeeling motorists waiting behind you means only seconds to say good-bye. “You don’t have to go,” Frank says. “Say something else. Say something different.” Polly is smiling and shaking her head, an echo of some long-ago courting coyness that once existed between them. It has landed here, in the wrong place entirely, but she can’t get control of her face. “You don’t have to go,” he says again in his faraway voice, unable to stop. The sole way Polly was able to convince Frank to let her go was through Ted, the reservist from Kansas. He and his buddies had a plan to meet in 2000. They had chosen a place and everything. “We can do the same,” she said to Frank. “I’ll ask for the shortest visa; I’ll ask for a five-year visa.” It was a setback when she got to the TimeRaiser office and they offered minimum twelve-year visas. But still he would meet her, on September 4, 1993, at Houston Intercontinental Airport. “What if you’re rerouted?” he asked. He had heard about this from another patient, who had heard about it from a cousin, who knew someone who worked at the facility, who said they could change your year of destination, while you were in mid-flight. Polly said reroutements were a rumor, a myth. Why would they send you to a time totally other than the one you signed up for? That would be like buying a ticket to Hawaii and winding up in Alaska. But to calm him, she came up with a backup plan. If something went wrong and either of them couldn’t make it, then the first Saturday in September, they’d go to the Flagship Hotel in Galveston, until they find one another. “Not just the first,” he said. “Every Saturday, every September.” This was overkill, a lack of good faith, but he was distraught, so she gave in. And if the Flagship Hotel is gone, they’d meet on the beach by its footprint. Even if, between now and ’93, aliens invade and the cities are crumbled and remade, the land will still end where the sea begins at the bottom of Twenty-Fifth Street. A set of comforts she repeats to herself have become like the chorus to a song. Men age well. I’ll still be young. We can still have a baby. But now her face, her throat, and her lungs flush with hot, hideous panic, like water rising over her head. She grabs the inside of his upper arm so hard that she can feel his flesh give way, even through all the sealed layers. He yelps and tries to pull away, but she won’t let go. They will get back to Buffalo. They will eat meatballs at Polly’s favorite restaurant on Seneca Street. They will push their bed under the window and every night after dinner they will lie there and chat, with their feet pressed against the cool wall. They will have a baby with curly hair, a warm, happy weight in his arms, kicking her chunky legs. But Polly can’t say this out loud and expose it to a jinx. She wills him to know what she means through only the pressure on his arm, as if transmission requires just touch. His face swims in the fog of his suit. He smiles. He’s got her pictures in his mind. One car behind them honks. Then others join in. The voice of their driver, made tinny by the intercom, says, “You gotta go.” They squeeze each other’s hands so hard, the skin of his suit bites the web between her fingers and there is no way they can touch skin to skin, and the seat of her heart falls away and so does her resolve. She says over and over, “Don’t forget about me,” and she tries to memorize his shape. But there is no more time. All the cars honk like the end of days. As soon as the car door opens she is taken to Decontamination, and they do not get to wave good-bye. Since no one carries much luggage, there are no bags to block pathways or take up seats, and a trolley bench can fit three. Polly has the middle seat between a man and a woman. The trolley passengers sit with their few belongings on their knees, in paper bags or in a battered briefcase, like the one the woman next to Polly holds. They must bring their papers and then they may bring anything else they can fit in a small bag, excluding weapons or flammables. They can bring photographs, but they’ve been told there is no point: photo paper can’t survive the journey. It is a stifling end-of-summer day, and heavy colorless clouds sink towards the tarmac. Plenty of them are traveling in groups—brothers and sisters, friends and couples—but no one on the trolley speaks. Once they’re out of the bay, the trolley makes a wide loop, and the travelers get a clear view of what they’re leaving behind. The woman on Polly’s left twists her neck sharply, like someone looking away when a nurse gives a needle. They travel through a parcel of trees, musty and dappled, the electric motor whirring, like on a children’s field trip. Polly inflates with a bright, absurd calm, an anesthetic for this excision. She thinks, This is all right. Now we just have to get on the boat. She must remember to tell Frank that time travel is much more efficient than air travel; these trolleys mean no more getting lost on the way to Departures, no more taking the wrong ramp, going up when we should be going down. The man has his travel handbook open to the Frequently Asked Questions list, but his eyes are on the back of the seat in front of him. Polly read hers the same way, with rapt attention cleaved by stretches of averted gaze. The first part is easy—Those with special skills may be eligible for an O-1 visa for aliens of extraordinary ability—because she has one of these limited visas. Another part offers material for grim jokes: You must not have any living descendants—i.e., children—or they must travel with you. Ensuring travelers have no descendants remaining is to diminish confusion or genetically incorrect alliances in the future. But then the text declines into reality: TimeRaiser can convey the whole cost of your travel expenses and you will be bonded to TimeRaiser for an agreed-upon period. Only the small print spells out in blunt letters the atrocity of what she’s about to do: Attempts to mitigate the pandemic or generally shift outcomes of events through chronomigration lead to poor outcomes, hence international and federal law permits only correspondence with the past that is solely of administrative significance and of a non-personal, non-historical, non-legislative, and non-narrative nature. Human cargo may only pass to the future and never back. She had read this passage to the end only once, and even then the hatches of her mind sealed shut before understanding could reach the inside. The woman next to Polly is crying, at first with restraint, but now holding her fist to her teeth, her knuckles turning shiny with spit. When she begins to make noises, Polly wonders if she should pat the woman on the leg or tell her not to worry. The trolley stops in the mouth of a hangar. Travelers peel away in strips. Some head deeper into the hangar, into a vaulted hall lit by fluorescents. Others take up position inside the red lines chalked on the floor that show where to wait for the mandated extra health screenings and bactericidal showers in advance of boarding the special planes with quarantine cabins, flying to TimeRaiser facilities elsewhere: Shanghai, Frankfurt, Harare, Caracas, or Sydney. In the midst of this clamor, the crying woman moves in slow motion. She gets to her feet once, but the weight of her bones and her sadness topples her, and she sits down again so heavily, the flimsy bench shudders. The staff, dressed like hospital orderlies, try to move her forcibly, but the woman says, “Wait, just wait. I’ll do it.” She is short and wearing sandals with multistory heels, the fabric straps crusted with sparkling purple stones. All the other travelers wear cheap shoes with zero decorative function. Polly suggests that the woman take off her sandals to make it easier to get down. The woman doesn’t acknowledge Polly, but she removes her shoes. Her feet are dirty and the skin of her heels is cracked and fissured, and the shoes look even more out of place. Polly and the woman are among the last to reach the inner door of the hangar, where travelers break into shorter lines, waiting for an agent to take their passport and their ticket and their fingerprints. Polly’s ticket says GALVESTON SEPTEMBER 4 1993. It’s twelve years. It’s a quarter of a blink of an eye in the life of the universe. Polly shuffles her documents around to find the order that will best please the agent. She makes sure the O-1 embossed on her visa card is prominently displayed. Her passport is fresh and the pages still have that scent like money. It was only last Thursday that they went to the makeshift clinic, where whole hallways were tented off, transit areas for the lucky sick, the ones awaiting transfer to the treatment centers. There, a nurse in a trim turquoise hazmat suit told her Frank was positive for the flu. She laid out the test strips like a card dealer, so Polly could see she had already run the test three times, with the same result for each pass. The medication he needed was thousands of dollars. They could give him the free treatments dispensed by the public health service, but their efficacy was not so good. Though there was time travel, she said. Polly had not understood her. Was she saying that Frank should travel? Oh God, no, the nurse said, they didn’t let carriers go, but Polly could go, so long as she passed the medical evaluation. TimeRaiser offered family health benefits. Once Polly signed on as an employee, even though they weren’t yet married, Frank could go straight to treatment; she just had to write his name on the line. Polly tries to focus on the floor tiles, the grouting and the shiny chips in eggshell white. But her mind keeps retracting to an evening last week when Frank took her up to the roof of their apartment to watch the sun set, that last day before his symptoms appeared. Months earlier, they’d chosen the complex because it had been emptied of life. Then the emptiness turned oppressive. But the roof was specked with soda cans and butts from hand-rolled cigarettes, clues of others in this world who also came to snack and watch the sky. They sat on a waxy banana box, back-to-back, and Frank produced a treat from his jacket pocket: a warped, fun-size box of raisins. They ate the raisins slowly so they would last until the sun went down, chewing each juiceless bead until only threads remained between their teeth. A wind-beaten pigeon approached, hopeful. “Don’t fold,” Frank said. “Don’t waste anything on that sky rat; I saved those for you.” Polly said, “But he’s hungry,” and held a raisin to its jerking beak. A second pigeon soon joined the first. “And another mouth to feed,” Frank said, watching wistfully as she gave away the last raisin. The sun setting over his shoulder, the noise of the wind, the churr of the gravel, his brown hair curling into the folds of his ear. What she would give to forget that moment, to unremember that last chance to trace those inimitable ears and fit her face into his neck. An agent processes her papers, disinterested in his primary role in the drama circling him. Everyone is given regulation clothing and slippers, all of it blue, and the travelers, now divided into women and men, remove their clothes in communal changing rooms, each person with eyes fixed firmly on the wall. When Polly pulls the limp blue material over her head, it tears under her armpit and the edge of her dingy bra is visible. She keeps her hand tucked into her armpit until she sees other women contending with far worse rips across the seats of their pants. There is no one to give them replacement sets of clothing, and when they arrive in the future, it will look as if the ’80s were even more destitute than they were. Polly throws away her home clothes in one of the many black bins down the middle of the room. Something’s torn in her bra, and the underwire has broken through, rubbing the soft of her skin raw. She is preoccupied with trying to tame it discreetly through the hole in her armpit as she walks, when she hears shrieking and she sees women stopping just before the exit instead of going through. Polly sees the crying woman from the trolley, kneeling, the contents of her case spread around her, as if she has lost something dear. She is making thick, strangled sobs. It is an unacceptable noise. It triggers an avalanche of dread that comes plunging over Polly, and her ears and airways fill with it, and for a second she is too heavy to move. The only way she can get out from under it is to narrow all her emotions into a fine point of rage. She wants to scream at the woman, Do you think you are the only one suffering here? In another immense room with naked bulbs, the politeness has dissolved with the quiet. There are no signs saying what to do. Passengers make mobs in the corners of the room, along a row of desks, by a line of white bins filled with plastic-coated radiation-proof jackets. There are not enough jackets in the necessary sizes, and people are shouting and sniping at each other. Polly takes an extra-large because they are easy to reach. The bins with the smaller sizes are almost empty. Polly looks around with queasy confusion. She sees what did not register before. She is among the tallest in the room, and the palest. Almost everyone is small and black-haired. They are mostly women. They are not the same race as her. She doesn’t know what race they are. Maybe they are from Mexico. She suffers layers of clammy embarrassment. It’s impolite that she noticed their difference; it’s backwards, like something Frank’s mother would do. But now she’s somehow in the wrong place for her kind, like she’s wandered into the men’s room. Did she miss the sign that said this was the area for foreign nationals? Are they being streamed by language? When she puts on her jacket, it gapes around the arm holes and at the middle no matter how much she cinches the straps, and she is afraid of what the radiation might do to her exposed areas. Passengers have oozed out of the lines so chaotically that the agents have left the desks, now patrolling the room like herders. One grabs her papers and shouts, “Can’t you read? You’re O-1 not H-1. Get out of here. Over there!” The agent points. It’s an imprecise gesture that takes in the whole back end of the hall. Alarms are blaring. Polly goes back into the changing room. It is the only other exit aside from the distant gangway to the next phase. She’ll wait in the changing room until it seems safe to go out and find a kinder agent. She leans against one of the black bins of unpeopled clothes, filled with cotton and rayon and striped polyester, little pearly buttons, a tattered blouse that maybe once was a favorite. She looks away. She notices a small door she didn’t see before, one ignored by everyone else, marked O-1. It opens into the first compact space Polly has seen, with wooden folding chairs and low chipboard walls and no ceiling. There is a potted plant in the corner and a reproduction of Van Gogh’s Café Terrace at Night hanging on one wall. There’s a clothes rack of plastic jackets, many in each size. The shouting from over the wall is muffled. The only other person waiting in the room is a woman who looks like she could be anywhere between twenty-five and forty. The paper suit provides no cues. She has fine blond hair and a tiny tight mouth, and keen, angular posture that strains the seams of her shirt. She is staring straight ahead, cracking her knuckles one unlovely pop at a time. The woman laughs uproariously. Polly preferred the drumming. Polly fixes her eyes on the Van Gogh painting. The first time she ever laid eyes on it, in a guidance counselor’s office, she thought it was magic: the way the painting was like a window, as if you could walk right into the scene. Just by looking at it, you were somewhere else. “You and I are more sexually appealing than those people out there,” the blonde says. Polly’s seen the painting too many times. She can’t get the light in the painting to do what it used to. “I worked my whole life. Sixty-hour weeks.” The woman dispenses with the whispering. “Sunk all my funds into a luxury condo, and then the pandemic struck.” She slaps her hand down on the folding chair next to her, and two things happen. The chair snaps shut and then it falls forward, its legs catching on the underside of the planter as it goes. The planter hits the floor and smashes, a loud, irreversible noise. The woman stares at the pieces, appalled. She jerks the chair out of the way and it scuttles across the floor and knocks into the coatrack. The woman starts kicking dirt madly into the corner, under the furniture, and after a second Polly helps her. Polly is in a state now too, without knowing what retribution they are trying to escape. They are trying to be inconspicuous, but the woman can’t stop herself from emitting little yells of panic. On her hands and knees, she blunders into more chairs, and the chairs kick the walls, making knocking sounds, like someone looking for a hollow spot in a sealed room. Security guards arrive, slow moving and unworried. The woman rushes at them. She’s shouting, “I still want to travel! I still want to travel!” but all they see is her charging. In a smear of motion, they half trip her and twist her around, then bind her wrists together. “All right, all right,” they say to her. The guards don’t answer. They take her away. The inside door is opened by an official with a clipboard, in a sharply pleated military dress, cursing and grappling with the radio clipped to her front. When she hails someone on the other side, she says, “Female passenger, last name Bauer, O-1 status, has been transferred to Discharge. Eighty-six Bauer, please.” She addresses Polly. “Nader? This way.” She waves her through the door, into an even smaller room. This one does have a ceiling, with perforations for soundproofing. Obviously, Polly assures herself, this is a consideration for the travelers’ sake, for their privacy—not for concealing company crimes. “I’m Colonel Simpson. I’m an army psychologist. I’m going to inspect your case and perform a physical and mental evaluation to ensure you’re travel ready. Should you decide not to travel, now’s the time to say so. If so, you’ll have to return any TimeRaiser payments made to you—advance pay or health benefits to friends or family members—plus a thirteen percent processing fee on these advance payments or health benefits. Are you ready?” She says this all so rapidly it’s difficult to catch each word. She pushes a box of Kleenex at Polly and nods at her dirty hands. The psychologist uses a blood pressure cuff, then a stethoscope. Polly’s heart is still speeding from the broken plant, and how easily the guards subdued that woman, like they were folding a piece of paper. The psychologist peers at her. “What kind of Caucasian?” She puts her cheek on her fist and stares until Polly says, “My father was Arab.” She only left this out from habit. It’s complicated to explain, extraneous information that usually no one has time for. But now it must seem she’s hiding something. The psychologist opens Polly’s briefcase and uses a white spatula with blue felt on its tip to sift her papers. She’s cautious, like a person handling evidence, then Polly realizes she is just that. She finds Polly’s baseball cards. “What’s this?” Rollie Fingers looks preposterously out of place. There are two versions to this story. The truer version is that the cards are traveling with her because they belong to Frank; they have the synecdochical magic of a beloved’s beloveds. But she thinks the psychologist will be more likely to comprehend the official, pragmatic version. What Polly would like to do best is put her head between her knees. But that would be a sign of weakness, and it’s clear that here things go poorly for the soft. Simpson regards her with drawn-together brows. Then she laughs. Polly shakes her head no, answering her question seriously, just in case. Simpson removes a sheet from the back of her clipboard. Just like that, with the slightest lift of her voice, Polly lets slip her weak spot. Wariness slides into the psychologist’s expression. They can’t afford another basket case. “Great. Good.” The psychologist takes back the contact form and writes St. Luke’s. “Can you sign this statement now? It just says you agree to the terms. There’s others to get to.” The psychologist touches her bare wrist as if she is wearing a watch. Polly finds herself pinching the pads of her fingers, one by one. Their Saturdays-in-September idea is suddenly sickening. It is like a plan a mother would make to keep from losing her children on a subway. It’s a plan able to withstand early closing doors and a snarl of stairways, not the ocean of minutes that twelve years holds. But uselessly her mind has gone blank. Strange, random thoughts wander into the empty space. Is it dinnertime? She is entering a world where the notion of something as normal as dinnertime does not exist. It was then that Polly began to experience a feeling of dislocation that did not leave her for many months. The pen in her hand and the paper on the table appeared far away, like she was watching them on a movie screen. I’ll see him in just a few hours, my time. This time tomorrow, he’ll be waiting for me. We can still have a baby. The happy weight in my arms. On that movie screen, the hand drew ballpoint loops on the line: her own signature. That was almost the last thing she remembered of the whole trip. When she met other travelers in the future, she could not remember the sort of details they wanted to trade, because they were details that came after the paper was signed. Which gate did she leave from? Which class was the boat? Was she put in a lie-down seat or a sit-up one? Did she wear a radiation-protection apron or blanket? Shoptalk was a way to divvy up what they’d endured without actually talking about it. She could not remember the recording, played right as she pitched into a many-year sleep. A tender voice told of Polly being past the point of return and hence authorized to hear the story of the future that was waiting, how the tiny but intrepid TimeRaiser—Texas born and bred!—had endeavored to prevent the pandemic by inventing time travel, and when that didn’t work, they did not relent, but tamed the flu by snatching carriers from right under its nose. The last thing she remembered was this: when she was left alone in the last holding area, she finally located the snag in her bra. It was not the underwire. It was a photograph Frank had tucked into the padding pouch. It was of the two of them at New Year’s, confetti strands in their hair. Her aunt Donna had set the zoom too close and each of them had an ear missing. On the back, Frank had written, Something to remember us by. She couldn’t explain what she did next. Polly flipped the photo over and folded it in half. And she tore it up. Then she pressed the shards between the pages of her travel handbook and put it all in a garbage can in the corner. Afterwards she tried to console herself by imagining that horror had distilled her down to her most animal self, who had no use for photos; she had been out of her mind. But the truth was that she had done it because Frank believed they needed props, aids to remember each other. He believed in the possibility of a future timeline in which she could forget him. This was intolerable. She would regret this always. It would sit like a bubble in her lungs. Even if the travel had wiped it blank, she would still wish she owned the piece of paper that had housed the outline of his face, with the ruts his writing made in the back, where he had written his message without signing his name. When the pod unsealed and they climbed out of the time machine, the light struck them like a blunt force. Their skin was burning, their nostrils about to rupture, their eyeballs ready to burst. People were screaming and weeping and Polly heard her own voice, severed from her body, crying about her eyes. She was on a gurney. They tied a plastic bag around her neck so she would stop getting sick down her front and they put a strap around her chest just to measure her heartbeat, although it felt as if they were tying her down. A serene voice was speaking to no one in particular, and Polly caught the words “side effects” and “normal” and “subside,” but the voice soothed nobody. She kept trying to sit up to reassure herself she wasn’t restrained, until they cuffed her wrist to the bed. They forced her to drink a sweet gelatinous liquid and she threw up again. She was crying and apologizing and someone was holding her head. “Frank?” she asked. Everything in the terminal had been rebuilt on a petrifying scale, curved windows like tsunamis of glass, and she had to shut her eyes or she’d upset herself again. “Is Frank one of the nurses?” someone said. “Okay.” She relaxed against the restraints. A second later she grasped that this wasn’t everything she needed to know. “What year is it? Is it nineteen ninety-three?” Polly couldn’t move her head; her skull was pinned down; she could only see the ceiling. It was not like her to be so visibly needy, all her insides on the outside. Even her own self was foreign. Finally, an official replied, “It’s nineteen ninety—” then the last number was garbled. “It’s nineteen ninety-three?” she mewed. The world started to revolve and she cried out until she realized someone was turning her gurney. “See for yourself,” the voice said. Now she was facing the exit. A digital clock in the ceiling said 5:17 p.m.
“What is it?” she heard herself say. And then it clicked. Like a red neon portent, the clock pulsed September and 4 and the numbers 1 9 9 8. 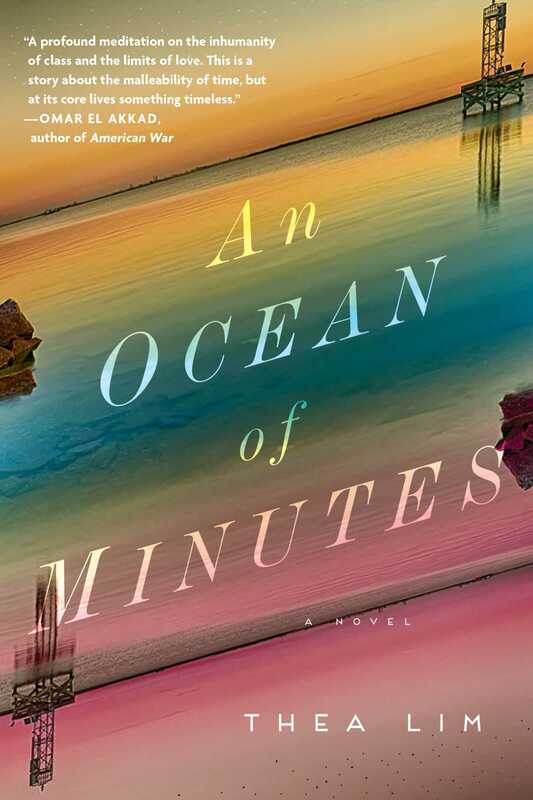 This reading group guide for An Ocean of Minutes includes an introduction, discussion questions, ideas for enhancing your book club, and a Q&A with author Thea Lim. The suggested questions are intended to help your reading group find new and interesting angles and topics for your discussion. We hope that these ideas will enrich your conversation and increase your enjoyment of the book. In 1981, a vicious strain of the flu virus has swept across America and the only treatment available costs more than many can afford. With the advent of time travel, there is the option of traveling to the future as a migrant worker, to pay for a loved one’s treatment. When Polly’s boyfriend Frank becomes sick, Polly is willing to do anything to save him, and agrees to travel to Texas in 1993 to work for his cure. While Frank and Polly plan to meet each other, and pick up where they left off, when Polly arrives, Frank is nowhere to be found. Polly learns she has been rerouted to 1998, and finds a world drastically different from her own. With no friends or family, no money, and no citizen status, Polly is indentured by TimeRaiser, the company who recruited her, until she can pay off her debt. But Polly will do anything to find Frank and build the future they’d imagined, rather than the one she’s found. 1. At the start of the novel, we join a 23-year-old Polly as she is about to make a massive sacrifice to save her boyfriend’s life. As the novel goes on, we know that Frank has a family with parents and siblings, but it is Polly who loses 12 years of her life to save him. At what stage does someone else’s life become our responsibility? To what lengths are we expected, explicitly or implicitly, to use self-sacrifice to help those we love? Is this expectation greater for men or women? 2. Frank manages to slip a photograph into Polly’s bra before she leaves, but upon finding it, Polly tears it up because she’s enraged that “Frank believed they needed props, aids, to remember each other.” Do you believe this is why Frank included the photograph? Did he already sense that they would lose each other? What other purpose can photographs serve? Why do you believe that photographs aren’t able to survive the time travel process in the novel? 3. Much of Polly’s appreciation of her time with Frank and her desperation to return to him stem from the loss of her mother. How does the death of a parent or loved one affect her perception of time and the future? Do you think she would still have volunteered to travel to the future to save Frank if her mother hadn’t died? 4. Baird’s character offers a counterpoint to Polly’s during her first few weeks in 1998, as he demonstrates what life might have been like had she not volunteered to sacrifice 12 years for Frank. Even though Polly and Frank do not end up together at the end of the novel, does Baird’s example prove that Polly still made the right decision? Was there any other decision that Polly could have made? 5. After Baird sets Polly up, Polly realizes that “she had lost the luxury of rage.” What does it mean to be able to have or express rage? Who in our society has that luxury? Are there other moments in the text when we see rage being enacted? What are the consequences? 6. TimeRaiser resembles many of the corporations in our world today. While it uses the technology of time travel to promote itself and gain power, it uses other techniques as well. What vulnerabilities of the people in the novel does TimeRaiser exploit for capital? What techniques does it use to do so? How much of this is dependent on technologies and how much is independent? 7. TimeRaiser’s mission and the structure of migrant labor in the piece mimic our present society and immigration. Despite the text taking place in an alternate future, many of the world’s prejudices and faults remain the same. What kind of things are universal throughout time? Can they ever change if human nature remains the same? 8. Once Polly is demoted to H-I status she notices more people mistake her for being Hispanic. Cookie comments that “you looked white until you went broke.” To what extent is Polly still an O-I worker, despite being given an H-I status? The text tells us that one way to acquire O-I status is to have experience in desired professions. Do you think it’s easier for some demographics than others to qualify for O-1 status? 9. When Polly asks Norberto what he’s imagining on page 211, he responds, “The same place. But a different time…I guess that makes it a different place.” To what extent is a place dependent on its time? Is it possible for a place, a person, or a relationship to remain the same after five years? Ten? Why or why not? 10. In the climactic scene between Polly and Norberto when he attacks her he claims, “I have no choice. If I do this, I’m free.” Later, Norberto feels guilty for his actions and so pays to free Polly from her commitment to TimeRaiser. What kind of action could really free Polly or Norberto from their situations? What actually defines autonomy? Is it possible for either of them to really be free? What is really constraining them? 11. While most of the novel is written in past tense, the memories of 1981 and before are written in the present tense. Why do you think the chronologically present-day events are written as having occurred in the past, while the flashbacks are portrayed as currently happening? What might it say about Frank and Polly’s relationship? About our relationships with those we love in general? 12. Polly and Frank spend a lot of their time discussing “next times”. But their trip to Washington D.C., where they acknowledge the limited time we all have, reveals their underlying understanding of how vulnerable these future imaginings are. What is so dazzling about the promise of a “next time”? Why do Polly and Frank continue to construct these futures, even after it’s clear they may not occur? 13. After finally finding her way back to Frank, Polly proclaims that, “Buffalo is gone.” Do you agree with this statement? What kind of loss is defined by lost time? When something has changed, to what extent is it “gone”? Can it ever be regained? 14. In the final pages of the novel, Polly comes to terms with the fact that what she and Frank had shared is over. This realization is tied to her realization that, “that scent, Frank’s smell, the rain and the sweetness, was gone.” When something, such as their relationship, ends, is it also gone? How does the novel’s understanding of alternative futures and timelines complicate this notion? 1. When Polly prepares to travel to the future, she packs light, taking only a set of baseball cards. While they might increase in monetary value, her real motivation for bringing them is because “they have the synecdochical magic of a beloved’s beloved.” Ask everyone to bring one object that they would take with them to the future. Then, try to explain the object’s “thing biography”. Where did it come from? Who did it belong to? Why is it important to you now, and why would it be even more important in the future? 2. As Polly works for her freedom in the future America, she remembers key moments in her and Frank’s relationship: their first date, the time he rescued her mother’s furniture, her first night in Worcester, their trip to Washington D.C., etc. Make a list of your top three “snapshot” memories. Who shared them with you? Where (and when) did they take place? What are the little details about these moments that you remember most? Why do you think they mean so much to you? 3. After finding her way back to Buffalo, Polly is desperate to get her hands on photographs of the Buffalo she remembers from 1981. Have everyone bring in photographs of themselves or their hometowns from at least 12 years ago and discuss what’s changed. Some things will be obvious – the clothes, the hair – but some things may be more subtle. Are the restaurants you frequented over a decade ago still there? What have they become? What does that say about how the place and people who lived there have changed on a more foundational level? This novel skillfully engages with a myriad of themes, both timely and timeless. Was there a primary question or theme that you were interested in exploring at the outset? How did that grow or change? The idea I started from was that very human thing, where we know that everyone and everything we love will eventually either die or leave us, and yet we love anyway. So, very cheerful stuff. But I knew too that I wanted to write a plot-driven novel. I had to find a way to animate grief – which is static and not plot-driven at all – so it was a bit of a puzzler. As a joke, I came up with the idea of time travel, because someone who is bereaved is stuck in the past. What if I actually stuck a character in the past? Very quickly, sending characters to the past created all sorts of sticky paradoxes, which didn’t help me to tell my story. So I stuck my character in the future. That’s when things came together: it turned into a time travel novel about the passage of time itself – its terrible, relentless self. That’s not to say that from there, everything was easy (it was not, it was awful) but at least I knew where I was going. If you were given Polly’s choice in the world you created, would you choose to travel 12 years into the future to save Frank? Aha! A taste of my own medicine. This reminds me of one of the first times I described the plot of my (as-yet-unwritten) novel to a friend, and she said, oh man, why wouldn’t you just stay and die? I’ve been lucky enough to never experience the kind of deprivation that forces someone into such a decision. That makes it very hard to imagine what I’d do. But here’s a related thought: in zombie apocalypse movies, the camera always follows the people who are fighting to survive, but the people who choose to die – maybe as a way to feel a sense of control over their own destiny and humanity? – are just as interesting. Hmm. Maybe that’s what the next novel will be about. If you were to travel 12 years through time as Polly does at the beginning of the story, what three items would you bring and why? My passport so I can prove who I was (or am), a picture of my daughter the day she was born, maybe some Bitcoin? Despite its universal themes, An Ocean of Minutes tells the specific story of Polly’s experience, which is dependent on her identity as a white, female American who has a specialized skillset. Why did you create her as the lens through which to investigate a future America? How do you think your experience in the world you’ve created might differ from Polly’s? Many immigrants have all sorts of privilege in their home countries – economic, educational, linguistic, ethnic – but in their new countries, they experience an erosion of status that happens both all at once and slowly, over years. Having Polly be white – or rather, white-passing, since she’s actually a mixed race Arab woman – enabled me to explore these speeds of decline. At first, Polly keeps trying to assert her privilege. She can’t keep up with the new world order. And her lack of smarts about where she fits on the ladder – how powerless and vulnerable she is – causes her to fall farther down. But once she accepts her position, she tries to keep her head down, as a way to keep herself safe. (Another story idehow keeping your head down can be an act of heroism.) Then eventually, this goes beyond acceptance, and she begins to feel great kinship with the other H-1 women, and leaving them behind is something that haunts her. Immigration has shaped my own life possibly more than any other force, but I didn’t want to write autobiography. Writing about migrants from another time, instead of another place, was a suitable cover. But though I tried to escape memoir, it’s true that like Polly, I’m mixed race. And like many mixed race people, I’ve had the disorienting experience of discovering I’m read as one race in one place (for example, East Asian in North America) and a different race in another (for example, white in Southeast Asia.) Considering this slipperiness of identity, it’s tricky to predict how I’d experience 1998’s Galveston! I wouldn’t want to make the same mistake as her, assuming I can easily map the mores and power structures of an unknown place. While An Ocean of Minutes is a book that deals with future time travel, you chose to locate your characters in the past context of the 1980s and 1990s. What was the importance of these particular periods in time for you? What did they do that another period or a future, imagined time could not? Nostalgia is a big theme in the story. I wondered if I could evoke nostalgia in the reader too, so they could “feel” along with Polly, Norberto, Cookie and Baird. Setting the book in the past and inflecting the story with cultural markers of our near-history, was a way to do this. An obvious observation: the invention that defines our current era is the internet. So I chose one of the last moments before the internet’s total takeover: the end of the 20th Century. There’s another reason why I set the novel in the (alternate) past. Early drafts were set in the future, and my guinea pig readers immediately assumed I was writing that kind of dystopia that aims to offer a prediction of what’s to come. But the working conditions the Journeymen endure are not a prediction, or something I imagined; they’re based on the way things are for migrant workers today, worldwide. By setting the novel in the past, I hoped to plant the realization that these abuses are already happening. In truth, my book is an inverse-dystopithe real world is the dystopia, not my story. The world is already full enough of suffering, so as a writer I choose to make the plot only as harrowing as needs to be, for the story to get where it’s going. So many real-life stories are far more stomach-churning than anything that happens to my characters. If you are curious to learn more, there are many amazing organizations who advocate for these workers, who are amongst the most marginalized people in the world. To name just a few: Positive Negatives, the World Justice Project, and Justicia for Migrant Workers. While creating this world, what influenced your decisions about how the “future” America would look? Is there another version of a future America centered around different contemporary issues that interests you? Like anyone, I have moments of wanting to control everything in my life, but the best way to ruin a story is to be controlling: trust me, I’ve tried it, many times. So as I was writing this book, I didn’t work from any particularly ideology or vision, other than that idea about love and grief. My approach was to try to follow a trail, rather than force a path. I started with grief, and then hopscotched to time travel, which got me into migrant work, which led to displacement, and of course love and what it means to love, underpinned the whole journey. The splitting of America rose organically out of the needs of the plot: there had to be a number of obstacles between Polly and Frank. But it made sense in light of American history, and now, I’m sad to say, it also echoes our actual present. One thing I’ve been fixated on lately is how technology has vastly reconfigured our physical lives, but it isn’t clear how it has affected our emotional lives. Is the way we love different now, because of technology? Applications like Skype or WhatsApp enable us to keep in constant contact with distant loved ones. But has that truly changed anything? Many migrant workers are mothers separated from young children. Is that separation easier to bear now than it used to be, or is there something essential about that suffering that can never be eased, by anything? In a separate and maybe opposite thought: technology makes it impossible to forget. You can’t lose touch with people anymore, because of Facebook. We get non-stop notifications from our photo apps beseeching us to “Remember This Day” with a photo collage from last Tuesday. I’m exaggerating, but I do wonder how technology mediates our relationship to the past. So I speculate about other future Americas, where these kinds of interpersonal technologies have been around long enough to perceptibly alter our relationships. Some of the most striking passages in the novel are the present-tense memories describing Polly and Frank’s relationship. What was the appeal of writing these temporally past tense moments in the present tense, compared to the past tense narration of a more present moment? But that way of living isn’t sustainable. You miss so much when you insist on staying in an imaginary “now.” And so when Polly finally finds a way to live within reality, when she gets a job at the library, “the more present moment” returns to present tense. TimeRaiser, unfortunately, doesn’t feel too futuristic when considering many of the corporations that dictate our world today. To what extent can we, like the characters in your novel, hope to be autonomous individuals in the face of such influence? What do you believe everyone can do to in some way remain autonomous? Here’s one thought: for sure corporations may not control where we live, what we eat and how we access our pay, but corporate influence infiltrates our lives at every level. Learn about the process through which the food you eat, the clothes you wear, the books you read, came into your house. Don’t go along with processes that compromise your moral being. And here’s another thought: it’s very hard to live a good life when you’re inundated by the pressures of just getting by. Maybe you are a parent with small children, maybe you are living with a chronic illness, maybe you are facing structural barriers that drain the colour right out of your dreams, maybe you are living in a city where you can hardly afford a place to live. Just as my novel suggests that rage is a luxury, the autonomy provided by a purely moral life is perhaps also a luxury. So if you have that luxury, take advantage of it. But if you don’t: something that is free is taking time to reflect on your “me-ness.” At one of her lowest points, Polly focuses on what makes her feel human: a cup of coffee with Norberto at the end of the day. It’s a tiny space that is wholly hers. So admire your toes in the shower. When you’re on the bus in a traffic jam, be the only one to see how branches move, nearly imperceptibly, in the wind. Rub the skin of a lemon. It’s not much, but it’s what we’ve got. Your novella, The Same Woman, deals with a woman coming to terms with her tumultuous relationship with another woman. How was the experience of writing a novel focused around a romantic relationship between and man and a woman different? Do you see anything in common between the two projects? The two projects are opposites in a sense, because I started my novella with a very clear idea of what it should say about life, and I judged my characters: some of them were doing life the right way, and some of them were doing life the wrong way, and I used them as cautionary examples for the reader. I don’t write that way anymore. It’s a bad idea to start writing knowing exactly what you want to say, and to hew to that, no matter what. We don’t wake up in the morning knowing exactly what the day will bring, so any story that is conceived in such a single-minded way will fail to capture how it feels to be alive. I used to think that the role of the writer was to make the world better. But I no longer believe that art is the best place for arguments about what constitutes better or worse. While such certainty has its place in nonfiction, in fiction it saps the life out of things. Now I think the role of the writer is to show us as truthfully and completely what a particular way of living is like, and then leave it up to the reader to decide what’s right or wrong. When I realized my responsibility was different than what I thought it was, my writing got a lot better. In the novel, Polly returns to Buffalo only to find that the Buffalo she knew was gone. Has there been an important place in your life that you feel has disappeared over time? What do you remember most about this place and what has changed? That section of the novel is perhaps the most autobiographical (dang, you got me). It’s inspired by my return visits to Singapore, where I grew up. Every time I go back to Singapore, it’s a small trauma. Once, after I’d been gone three or four years, I exited the subway to the street, and I had to turn around and check and re-check that I had gotten off at the right stop. The neighbourhood had been scrubbed so totally that I didn’t know where I was. What is most disorienting for me there is that the shape of the streets has actually changed. It’s technically the same space but a different place, and I can’t even find the contours of the space. As a teacher and an editor, you’re familiar with looking critically at other writers’ work as well as developing your own. What piece of advice do you think is most useful but under-utilized by young, aspiring writers? As a young writer, a piece of advice that changed everything for me – once I could finally hear it – was the notion that you can trust your writing, and trust your reader. I spent so much time appending explanations to descriptions, characters, events, and dialogue in my stories, to ensure that nothing was misinterpreted. I missed that the point of storytelling is, how folks interpret something is out of the writer’s control: that’s where the magic is. There are days where it’s still a struggle to relinquish control, to just let the things speak for themselves, to open up that space for the reader to come in. I guess that fear of being misunderstood is my migrant heritage! This novel is particularly astonishing for its seamless intermixing of multiple genres. Is there a kind of genre that you haven’t engaged with much before that you would be interested in writing? Any other hybrid genres that you think produce opportunities for you? Detective novels! I really want to write mystery. Poirot is my guy. And I think I should try to write something funny. I figure I owe everyone, after this one. 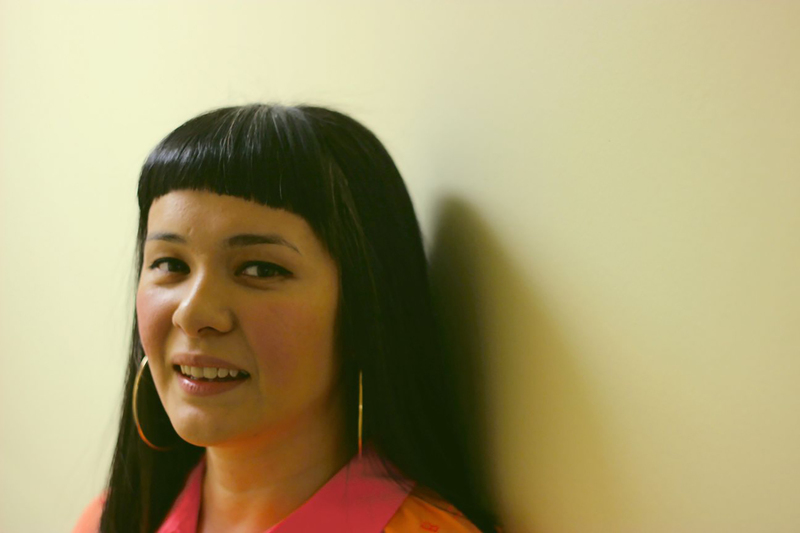 Thea Lim’s writing has been published by Granta, The Paris Review, The Guardian, Salon, The Globe and Mail, The Southampton Review and others. She holds an MFA from the University of Houston and previously served as nonfiction editor at Gulf Coast. She grew up in Singapore and lives in Toronto, where she is a professor of creative writing. A strikingly imaginative time-travel story unlike anything I’ve ever read, rich with pinpoint emotional insight and fierce, vivid observations about a future that’s already our past. An Ocean of Minutes is a time machine into the future of this moment. Gripping and graceful, it's dystopian love story as told by a visionary. Thea Lim's novel reads like the birth of a legend. Amidst the breathtaking world Thea Lim has created in An Ocean of Minutes is a profound meditation on the inhumanity of class and the limits of love. It takes immense talent to render cruelty both accurately and with honest beauty—Lim has pulled it off. This is a story about the malleability of time, but at its core lives something timeless. An Ocean of Minutes is a buoyant, compelling tale ranging from the everyday beauty of falling in love to a frightening vision of a dystopian present day. Ms. Lim's imagination is boundless and dynamic. [T]he novel oscillates between the present and future—a jarring juxtaposition that's equally touching and heartbreaking… Lim's writing shines brightest when she's ruminating on time, memory, and love... A beautiful debut exploring how time, love, and sacrifice are never what they seem to be. Lim’s enthralling novel succeeds on every level: as a love story, an imaginative thriller, and a dystopian narrative. One of "10 Prescient new feminist dystopias to read after THE HANDMAID'S TALE." An Ocean of Minutes is an astute novel. Using familiar speculative fiction tropes, Lim takes a love story and turns it around, ending up with a tale of self-possession and survival. Lim’s steady prose and deft character development ensured that I was hooked on Polly’s story from beginning to end. [F]ull of fascinating social commentary on class differences, racism and sexism….it’s easy to fall into this novel and become emotionally involved in Polly’s journey and her search to find the people she loves.